It is with much anguish that we – a group of former civil servants anxious about the alarming decline recently, in secular, democratic and liberal values of the Constitution – write to you, confident that you will not allow political expediency to trump secular principles. We write to express our alarm at recent reports of your government’s plans to amend the Indian Penal Code (IPC) to make acts of sacrilege against religious books a major offence, punishable with life imprisonment. Our objections, echoing similar disagreements widely expressed in the press, are on several grounds. We hope your cabinet will reconsider this decision, that we consider is not wise or thought through, and will withdraw the amendment bill. Blasphemy provisions, such as the one planned, go against the very grain of the secular character of our Constitution. Rather than reduce the role of religion from the matters of the state, expected of a secular polity, this move will further consolidate the hold of sectarianism, and strengthen the hands of religious extremists on all sides. Further, blasphemy laws are a direct threat to freedom of speech and expression, a fundamental right. Criminalising sacrilege, and making it a major offence, will create a chilling effect on free speech, giving a handle to anyone claiming to be hurt, to pursue ill-founded prosecutions. This is exactly what is happening. Moreover, it will deter any one from even serious research and re-interpretation of religious texts, which will only encourage religious fundamentalism. Experience of the implementation of blasphemy laws the world over, point to their being particularly prone to misuse against minorities and weaker sections, to harass them, exact revenge and also to settle personal and professional quarrels, all matters entirely unrelated to blasphemy. (Pew Research Centre, 2016, US Commission on International Religious Freedoms, 2017). Making sacrilege a major offence, wherever it has been affected, has “fostered an environment of intolerance and impunity, and led to violations of a broad range of human rights”. (Freedom House, 2010). Provisions already exist to deal with insults to religion. Any further amendments to the existing provisions are not merely unnecessary, but are a retrograde step. Laws that seek to restrict freedoms (speech, belief..) have an insidious quality, in that they proliferate, also making space for more severe versions of the original, further restricting freedoms, and tend to gradually spin out of control. The proposed amendment is bad in law. It is poorly worded, offences are undefined and open-ended, speaking of ‘sacrilege, and ‘hurt’ caused to ‘people’. It is also arbitrary – religious texts of only four major faiths are included, leaving others out (as far as Hinduism is considered it cites only one text, when there are a hundred other texts held sacred by different sections of Hinduism). By prescribing life imprisonment, the proposed amendment makes sacrilege a major offence. This is excessive and disproportionate. Supreme Court has, in its ruling on Sec. 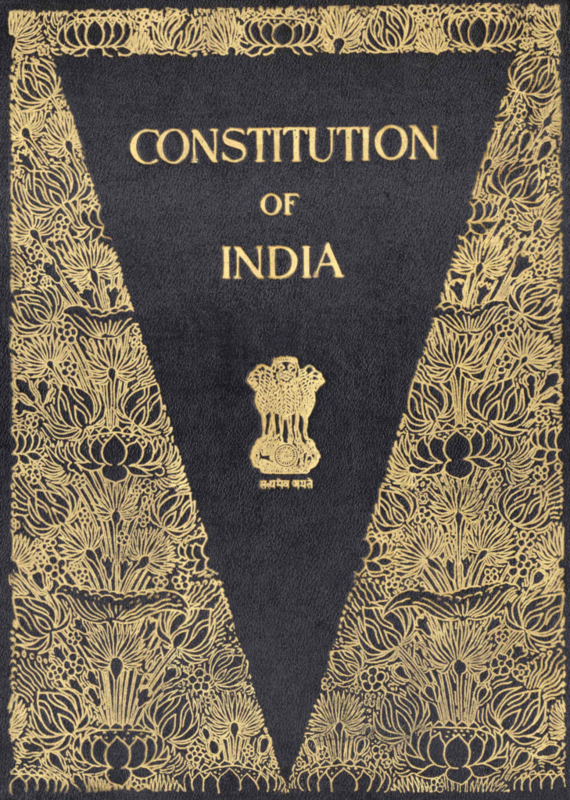 295-A IPC (in Ramjilal Modi vs State of UP, AIR 1957 SC 620) already held that the said provision, that attracts a maximum penalty of 4 years, punishes only the “aggravated form of insult to religion”. We have seen that whenever a legislation has not been sufficiently thought through as to its ramifications, is imprecise in its definition of what constitutes an offence, e.g. ‘sacrilege’ and is capable of multiple interpretations, it lends itself to the gross abuse of power by vested political interests, particularly those that represent sectarian groups, and adds to the potential of increased police repression. You will appreciate that we have already paid a heavy price for our past sins of pandering to extremist sentiments of various religions for short term political ends, whether it be the Shah Banu case, the Taslima Nasreen case, opening of the gates of Babri Masjid for pooja, banning of various books, paintings etc. This has brought us to a situation today where the very idea of an inclusive, pluralistic, and liberal India and Indian-ness is seriously threatened. Our country has recently seen the development of a communally charged environment due to the empowerment of sectarian and illiberal ideas and ideologies, resulting in the targeting of minorities and a general increase in social disharmony. The need of the hour is for all responsible stakeholders to act to reduce the space provided to religious fundamentalists of all kind – not open up space further to them. Additionally, the proposed amendment has the potential to set off competitive mobilisation and copycat blasphemy and sacrilege legislations in other states too. It will only serve to underline divisions and encourage each community to look both over its shoulders as also over the shoulders of others to check what they are doing. It is not difficult to visualise a scenario where such a law can be brutally misused. The Congress Party has had a chequered history of occasionally fishing in communal waters for short term political ends making it vulnerable to the charge of hypocrisy. In a situation where the need to uphold our secular values has become more critical than ever before, we believe it is incumbent on you as an influential leader of that party to stand by those values and shun the temptation to score short term political points. We do hope your government will withdraw the Indian Penal Code (Punjab Amendment) bill, 2018 and Code of Criminal Procedure (Punjab Amendment) bill 2018.